This two-bedroom condo has been recently upgraded ans is a great rental, the unit sleeps up to 6 people and has great views from the first floor veranda. The Marina on Florida's Gulf Coast is a family friendly community with a large heated pool, a gazebo and barbecue grills. The property on located on the preferred south end of beach, just across the street from one of the most beautiful beaches in Florida and only minutes to Lovers Key State Park. The Marina offers deep sea fishing, boat rentals, dolphin tours, kayak rental, pontoon and power boat rental and bait. The largest shopping center on the Island is an easy walk, as are numerous restaurants offering cuisine from fine dining to sandwiches and ice cream. Additionally, the Fort Myers Beach Golf Course is next door to the property for those interested in paying a round or two. 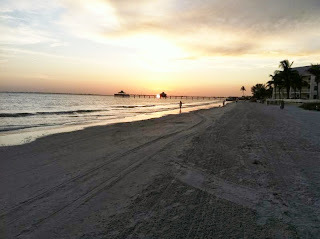 Fort Myers Beach is a 7 miles of sugar-white beach with outdoor activities for everyone. You can take long walks on the beach, search for sea shells, go for a nature hike, build sand castles or just sun bathe by the pool and people-watch. This area is known for its natural habitat filled with birds, dolphins, manatees and other wildlife. Fort Myers Beach VRBO Homes, Attractions, Reviews, Photos, etc. Relaxing is the primary activity in Fort Myers Beach Florida - fishing, boating, kayaking, hiking, walking, swimming, diving, biking, eating & drinking. a huge number of restaurants serve up food to locals and visitors. Try the air boats in the Everglades or dolphin watching, bird watching, visit nearby Sanibel and Captiva Islands or Cabbage Key.